The Friends’ Bahlow Bookstore and Bank & Trust Café opened in April 2009 and was part of the Library’s building expansion. The Friends of the Library wanted to provide a warm, welcoming space to sell the books that were discarded from the Library and donated from the community. It was created to be in service to the community and continues to keep prices low for that reason. 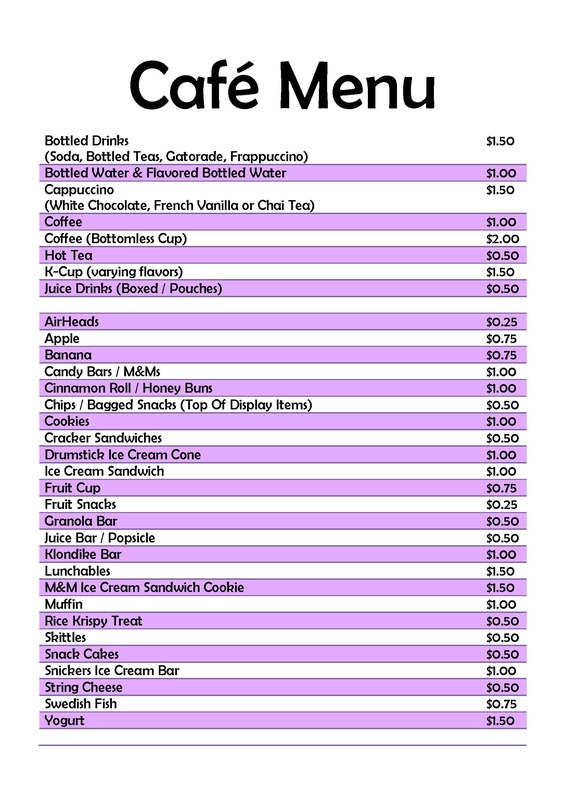 All funds collected go to supply costs, the Coordinator’s part-time salary and back to the Library. Gary and Barbara Bahlow were strong supporters of the Chatham Area Public Library and funded a portion of the Bookstore. Bank & Trust Co. also wanted to support this new service and donated funds to support the creation of the Café. On behalf of the Friends of the Library Board, we welcome you to the Friends’ Café & Bookstore! Thank you for your support. 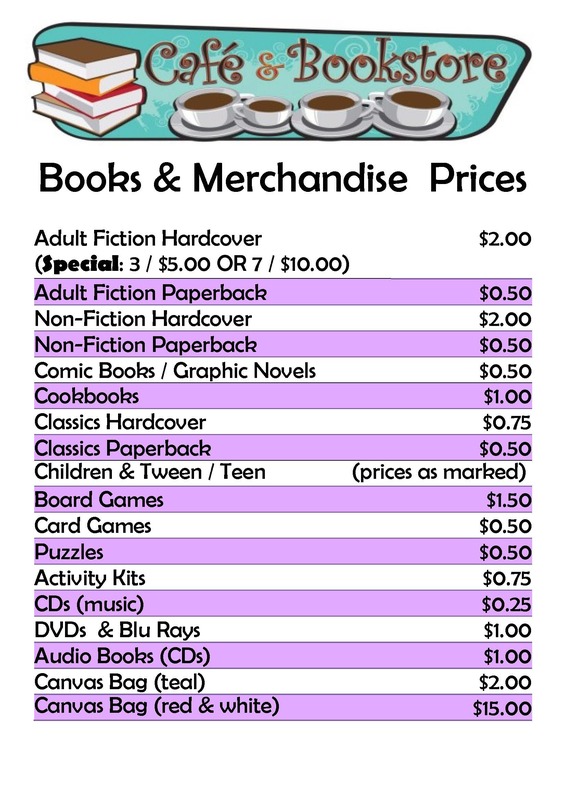 As a service, we aim to keep prices low, all while retaining small profits to benefit the Friends of the Library. There are many ways to help the Friends of the Library. 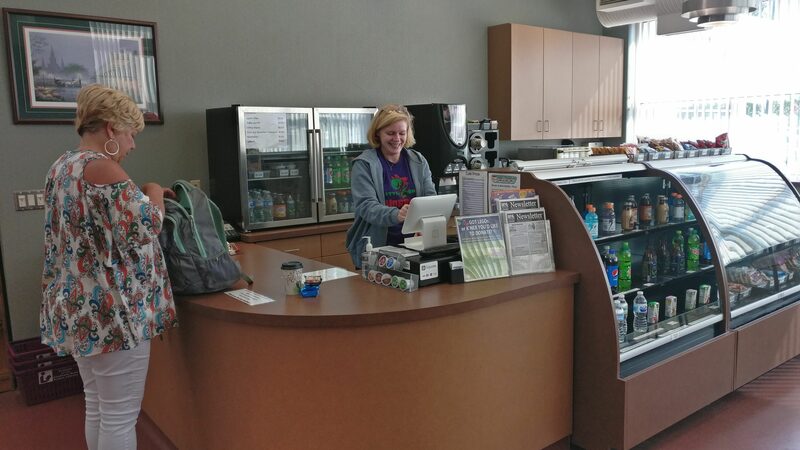 If you like to connect with your community, talk about books and support your Library, there is no better way than to be a volunteer in our Friends’ Café & Bookstore! For more information, Volunteer Information Form and it will be sent to the Bookstore & Café Coordinator. You will be contacted and the Coordinator will discuss the open volunteer needs, typical job duties and answer any questions you may have. We hope you’ll join the fun! Do you have questions or comments? Please let us know! Thank you for your interest in the Friends of the Chatham Area Public Library's Cafe & Bookstore!